So far countrypasta has created 107 blog entries. A delicious seafood pasta dish that works for a quick weeknight dinner or weekend dinner party! Bring a large pot of water to a boil. Add pasta, and cook for 18-22 minutes, or until al dente; drain. While pasta is cooking begin chopping garlic and green onions. Cut imitation crab meat into small bite size pieces and remove tails from the shrimp. Melt butter in a large skillet over medium heat. Saute garlic and green onion bottoms until lightly browned. Deglaze your saute pan with white wine and cook until liquid has been mostly reduced. Stir in cream, and cook until thickened, about 5 minutes. Add imitation crab, shrimp, Parmesan cheese, tops of green onions, red pepper flakes, salt and pepper. Reduce heat to low, and cook for 3 to 4 minutes, until heated through. Transfer cooked pasta to a serving dish, and top with seafood sauce. Garnish with parsley. Now that kids have been back in school for a couple months, we imagine that you’re starting to settle in to the routine of things. However, are your weekly meals also becoming too routine? Looking to mix it up a bit? Not to worry, we’ve got your back! At Country Pasta, we were anticipating this moment. Throughout the summer we were busy creating several Fall pressure cooker recipes so we could help provide you with some new ideas to liven up the menu. You’ll love the convenience and your family will love the flavors. We’ll chalk this up as a win-win. Be sure to check out our whole menu of Insta-Pasta recipes. Whatever you do, do not miss trying the Insta-Cheesy Fiesta Pasta. It has become a fan favorite and is the perfect way to shake up Taco Tuesday. We hope these meal ideas will add a little spark to your weekly menu. We know how hard it is trying to always provide your family with healthy meals, all while juggling school, practice, work, etc. Stay strong and power on! Set the pressure cooker (Note: we used the 6-qt. Instant Pot®)on sauté. Melt together the butter, garlic, Italian seasoning and sausage. Turn sauté mode off. Add spaghetti sauce, pizza sauce and pasta to the sausage mixture. Add in the water and stir. Replace lid and make sure the manual release valve is closed. Set on high pressure for 8 minutes and let it natural release for 3 minutes. Mix in half of the cheese and pepperoni to the meat/pasta mixture. Sprinkle the remaining cheese and pepperoni on top of mixture. Replace the lid and let the cheese melt and the pepperoni warm through. Place pasta, garlic, chicken broth and white wine in the pressure cooker (Note: we used the 6-qt. Instant Pot ®). Place your pressure cooker on manual high pressure for 8 minutes, and close pressure release valve. While pasta is cooking; chop zucchini, squash, and carrots. When timer goes off do a quick release, make sure to stay clear of hot steam from valve. Once pressure is released open lid and add all vegetables to pasta mix. Set pressure cooker for an additional 4 minutes on high pressure. After the vegetables have cooked do another quick release, and stir in heavy cream. Then change setting to sauté mode and add cheese. Keep on sauté mode until cheese has melted and the sauce has thickened. 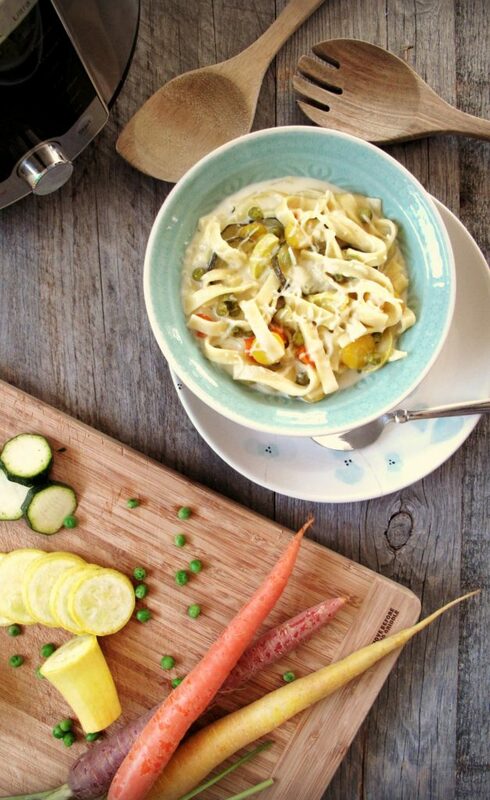 Try this dish with your own veggie favorites! Turn pressure cooker to Saute setting and allow to preheat (Note: we used the 6-qt. Instant Pot ®). Once heated add oil, chicken, and ranch dressing packet stirring to coat. Saute chicken for 2-3 minutes. Next add cream cheese, pasta, broth, and water to pot. Close lid and pressure release valve. Select the Manual setting for High pressure and set for 10 minutes. Allow pressure to naturally release for 3-5 minutes; then quick-release any remaining pressure. Open lid and stir in shredded cheddar cheese and cooked bacon; let dish set for 5 minutes to thicken. Recipe inspiration from Plain Chicken. We suggest adding more cheese to thicken if desired - because who doesn't love more cheese. Combine the chili powder, paprika, garlic powder, cumin, oregano, sea salt, pepper and set aside. Slice your onion into thin, half-moon slices. Turn pressure cooker to sauté mode; add oil and allow to heat (Note: we used the 6-qt. Instant Pot ®). Cut your steak into thin quarter inch strips. Once your pressure cooker is heated up add steak, onion and half of your seasoning mix. Sear the steak for about 3 minutes. Pour crushed tomatoes on the top, do not stir. Cut peppers into long strips. Place peppers on tin foil, fold foil into pouch and place on top of crushed tomatoes (this allows the peppers to cook without getting mushy). Close lid and pressure release valve, set pressure cooker on high pressure for 10 minutes. Once it has cooked for 10 minutes, let pressure naturally release for 5 minutes. Remove foil pouch with tongs and carefully open and incorporate the peppers into the pot. Stir in sour cream and the remaining seasoning mix. Top each serving with shredded cheese and cilantro. We love this quick hearty dinner, and thank 365 Days of Slow Cooking for the inspiration. Can of diced tomatoes 28 oz. Turn pressure cooker to sauté mode (Note: we used the 6-qt. Instant Pot ®); add olive oil, garlic and onion. Sauté for about 2 minutes. Next add ground beef, garlic powder, parsley, and oregano to pressure cooker and cook until ground beef is browned. Add all other ingredients except the cheese and sour cream. Stir pot well and make sure pasta is submerged in liquid. Place pressure cooker on high pressure for 10 minutes and close pressure valve. Once cooking is done let pressure cooker naturally release for 3 minutes then open pressure valve for a quick release (keeping clear of steam). Incorporate shredded cheddar cheese and sour cream, and serve. Cook pasta according to package directions. Reserve ½ cup of pasta water before draining. While pasta is cooking, heat butter over medium heat. Add garlic and sauté until fragrant, about 1 minute. Add canned salmon and peas and sauté until salmon is heated through. Sprinkle flour over salmon and peas and sauté until well mixed. Pour in heavy cream and mix with salmon and peas. Add white wine, lemon juice and parmesan cheese. Mix well. Lower heat to simmer and stir sauce with salmon and peas until slightly thickened. Turn off heat. Add cooked pasta and ½ cup reserved pasta water. Stir together until well blended. Turn pot to Sauté mode, add a Tbsp. of olive oil to bottom of pot and brown ground turkey until mostly cooked. Next sprinkle meat with taco seasoning, stir to coat and finish cooking meat. Cancel Sauté mode and add to pot; salsa, pasta, black beans, corn and broth. Stir all ingredients to incorporate. Close lid and set the steam release knob to the Sealing position. Select Manual/high pressure and set for 10 minutes. Natural Pressure Release for 5 minutes once cooking is complete, then do a quick release of pressure. After opening the instant pot stir ingredients once more and add 2 c. of cheese blend, stir again to incorporate. Top with sour cream, tortilla chips, black olives, cilantro, and jalapenos. Enjoy! Set Instant-Pot to Sauté, into insert add 2 Tbs. olive oil, shrimp, red pepper flakes, paprika, Italian seasoning, and salt. Sauté shrimp for about 3 minutes. Remove shrimp and set aside. Cancel the Sauté setting. Once shrimp is removed from pot, add pasta, halved tomatoes, tomato paste, basil, garlic, and water. Close lid and valve, set on high pressure for 10 minutes, natural pressure release for 4 minutes. When soup has completed the 4-minute natural pressure release, release pressure valve. Once steam is released carefully lift lid and open. Add cornstarch, baby spinach, and shrimp. Stir until spinach is slightly wilted. Enjoy this light and health option. In your pressure cooker, add everything but the cream cheese and Parmesan. Stir ingredients to incorporate, and make sure that pasta is submerged in the liquid. Close lid and set manual timer for 10 minutes on high pressure. When timer goes off, allow for 3 minutes of Natural Pressure Release then quick release. *Note that a longer Natural Pressure Release will result in softer noodles. Add remaining ingredients and stir until the cream cheese is melted and incorporated. Top with grated Parmesan, parsley, and cracked pepper. Enjoy! Using the browning or sauté setting in the pressure cooker, brown beef in the oil. Close the lid and bring to high pressure for 20 minutes. Use quick release method and when the unit is cool enough, remove lid. Stir in the sour cream and mix well. Season to taste with salt and pepper. Start instant pot on sauté setting. Once IP is hot drizzle with a small amount of olive oil and add sausage. Lightly brown sausage on each side. Next add onions, peppers, mushrooms, and sprinkle with Cajun seasoning. Sauté veggies and sausage together for 3-5 minutes, or until the veggies reach the desired caramelization. Next turn off instant pot and add spaghetti sauce, 30 oz. of water, and pasta. Stir all to combine and push down all ingredients so they are submerged in liquid. Cover and seal pot, cook on high pressure for 10 minutes. Let rest for a minute or two before doing a manual quick release. Stir once more, serve, and enjoy! This isn't your kids Mac & Cheese. Butter a 13 by 9-inch glass baking dish and set aside. Cook noodles according to directions on package. Drain well, but do not rinse. Whisk the cream, milk, flour, 1/2 teaspoon salt, and pepper in large bowl to blend. Stir in 1 cup Fontina, 1/2 cup Parmesan, 1/2 cup mozzarella, ham, and parsley. Add the noodles and toss to coat. Transfer the noodle mixture to the prepared baking dish. Toss the remaining 1 cup Fontina, 1/4 cup Parmesan, and 1/4 cup mozzarella in a small bowl to blend. Sprinkle the cheese mixture over the noodle mixture. Bake until the sauce bubbles and the cheese melts and begins to brown on top, about 20 minutes. Let stand for 10 minutes before serving. Recipe adapted from Giada De Laurentiis Macaroni and Cheese. Warm up with this hearty classic! Heat oil in a large stock pot over medium to high heat. Add onions and garlic, and cook, stirring often, until tender - about 5 minutes. Next add ground burger and Italian sausage stirring often until crumbled and brown. Drain any fat from meat mixture and return to pot. Add tomato paste, chili powder, cumin, salt, pepper, thyme, and oregano and cook, stirring for 2 minutes. Increase heat to high. Stir in beans, tomatoes, chicken broth, and beer, and bring to a boil - about 5 minutes. Then reduce heat to medium to low and simmer for 30 minutes, continuing to stir often. While chili is simmering, heat water in a separate pot to boiling, add Country Pasta Wide Egg Noodles. Cook for 18-22 minutes. Once noodles are cooked, drain and top with chili. Garnish with the toppings of your choice. Recipe adapted from myrecipes.com, Classic Beef Chili. This seasonal favorite would pair well with a pan seared sage pork chop. This recipe is very easy and the sauce will cook quickly, so to start begin by cooking pasta according to package directions. Melt butter in saute pan over medium heat; add sage leaves and cook until butter has the flavor of the sage. Remove sage leaves from butter and add minced garlic to butter, sauteing for about 1 minute. Whisk cream, pumpkin, nutmeg, cinnamon, and Parmesan cheese into the butter and stir until all ingredients are combined and the cheese melted. Divide cooked pasta into serving bowls and top with sauce. Garnish with grated Parmesan and sage leaves if desired. A perfect harvest inspired dinner that would pair well with your favorite grilled chicken or steak. In a large bowl, toss the vegetables with olive oil, salt, pepper and dried herbs until coated thoroughly. Next, transfer vegetables to large baking sheet(s), and arrange evenly. Bake vegetables for 20 minutes or until the carrots are tender, stirring after first 10 minutes. While the vegetables are roasting, proceed to cook pasta according to directions (about 18-20 minutes). Once pasta is cooked to desired bite, drain and reserve 1 cup of the pasta water. To finish dish toss the cooked pasta and vegetable mixture along with fresh basil and halved cherry tomatoes in a large bowl until combined, then add some of the reserved cooking liquid to mixture to moisten. Season with salt and pepper to taste and sprinkle with Parmesan. Enjoy immediately! This wonderful, light pasta dish was adapted from a recipe by Giada De Laurentiis. Need a summer salad for the next BBQ? Look no further! This Hawaiian Pasta Salad is a hearty side dish that pairs perfectly with your favorite burger and lazy summer days! Cook Country Pasta according to directions on bag, drain, rinse with cold water. As moms trying to feed our families, we put a lot of pressure on ourselves to provide homemade meals and not rely on prepared box dinners. I was talking with my sister about this the other week and we both agreed that having grown up with a mother who is an amazing cook, we were used to having meals made from scratch. I don’t recall having boxes of mac ‘n cheese in our house. Ever. So as adults, we both strive to provide these same homemade experiences to our own children. With today’s busy schedules – work, daycare, sports practices, homework, volunteerism – sometimes homemade is just not possible. And you know what I’ve finally come to decide? That it is okay. This past week I added a jar of pasta sauce to sautéed chicken, topped that on some Country Pasta, and added frozen veggies and garlic bread to the side. It was hearty, healthy, and most importantly for that night, a fast meal for my hungry family. We are proud that Country Pasta is so versatile that it can be used as a quick go-to meal to fill hungry bellies on a busy night, or as a leisurely prepared Sunday supper. We know many dads help with the dinner duties as well, but with Mother’s Day this weekend we have all you busy moms on our minds. And we salute you for all the work you do to provide healthy meals for your families. Just remember to give yourselves a break sometimes and reach for the jar. It’s okay. Wishing you a relaxing and enjoyable Mother’s Day! Shake up Taco Tuesday with a hearty taco bake! Cook ground beef until cooked thoroughly; drain fat. Add cooked beef, beef broth, water, taco seasoning, diced tomatoes, onion, garlic, enchilada sauce, and cream cheese to slow cooker. Stir all ingredients until combined. Cover and cook on low for 4-5 hours. During last 25 minutes heat water for pasta and cook for 18 - 20 minutes. Once pasta is cooked; drain and add to slow cooker. Next add 2 cups of shredded cheese. Stir until well combined. Let this cook for 15 minutes more. Serve and top with shredded cheese, sour cream and salsa. The recipe has great flavor, but if you prefer a spicier kick we suggest adding a can of diced green chilies and using a medium to hot enchilada sauce. A little pepper-jack in lieu of cheddar would be a nice finishing touch as well. The perfect blend of seasonings meld together in this fresh and flavorful soup, and will leave you with thoughts of your favorite Mexican restaurant! Pre-heat oven to 400F. Place halved tomatoes on a lightly oiled baking sheet. Sprinkle with salt and pepper and drizzle lightly with olive oil. Roast for 30 minutes, or until they begin to caramelize. Once tomatoes are cool enough to handle, roughly chop and set aside. While tomatoes are roasting, heat a large stock pot over medium high heat. Add the remaining 1 Tbsp. olive oil and pasta. Cook until pasta begins to brown (this will take about a minute). Next add the onion, garlic, oregano and cumin. Cook until the onion is softened. Add the stock and 3/4 cup of cilantro. Bring to a simmer and add the cubed chicken breast. Cook chicken thoroughly. Add the tomatoes to the soup mixture and continue to cook for a few minutes allowing the flavors to meld. Divide soup into servings and top with Feta, Lime wedges, and remaining cilantro. This recipe was a huge hit with the Country Pasta team. 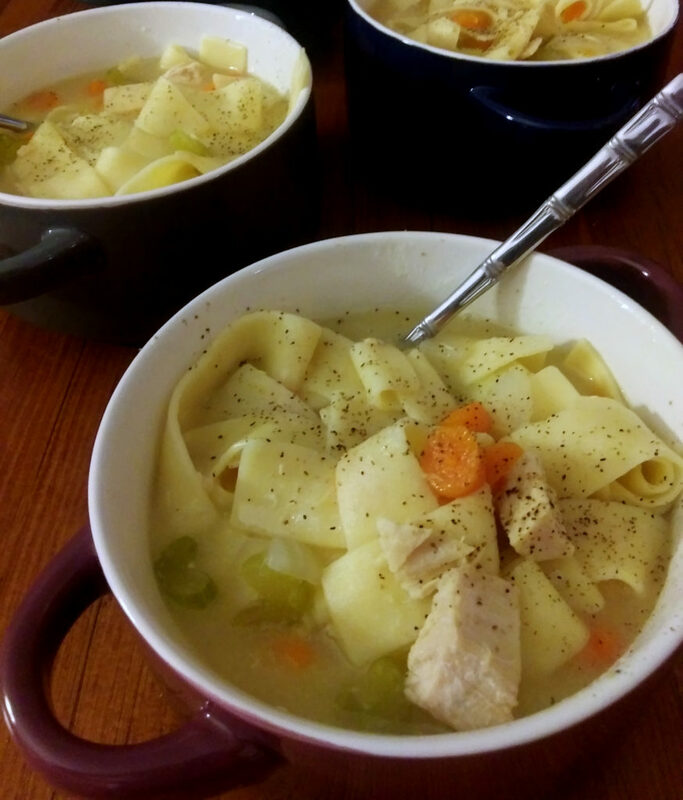 For this soup we do suggest gently breaking up the pasta into smaller "spoonable" noodles. A wonderful light flavored pasta that pairs well with fish and spring greens. Bring a large pot of water to boil. Add noodles and stir to separate. Cook for 12 minutes, or until al dente. (The noodles should still remain somewhat firm as they will cook again in step 3.) Drain pasta and return to cooking pot. Just before noodles are cooked to al dente, in a small pan combine the lemon zest, cream, salt, and pepper. Cook over medium heat for 2 minutes, or until cream comes to a boil. Pour cream mixture over drained noodles and add squeezed lemon juice (note you may want to start by adding 3 to 4 tablespoons and add to taste). Stir to coat. Cook over medium heat, stirring, until all the liquid is absorbed. Season with additional pepper if desired. We want to note that not everyone who tried this loved the large slices of lemon zest, so if that is the case in your house we suggest using a zester for smaller lemon zest. Lastly we topped ours with a little shredded Parmesan, enjoy! In a large skillet over medium high heat add the butter and cook the chicken until golden brown and no longer pink. Add the olive oil and cook the garlic, sun dried tomatoes, and mushrooms until tender. Add in the flour and cook for another minute. Slowly add the chicken broth, half and half, salt, pepper, and garlic powder and whisk until incorporated. Add the linguine and bring to a simmer. Cover and cook for 10-15 minutes or until the pasta is tender. Remove from the heat and add the parmesan cheese and spinach and stir until the spinach starts to wilt. Serve immediately. Once a week I try to plan a crock pot dinner for our family. And let me tell you, that is the night I always look forward to. Who doesn’t? You get to walk in to a delicious smelling house, pour yourself a glass of wine, and relax because dinner is done. I have been using and recommending crock pot recipes for years now, and hadn’t given much thought to the history of them until today. So, after a very quick search on Google, I found this article from The Huffington Post: A Brief History of the Crock Pot. I found it interesting that it took over 30 years from when the original slow cooker was patented, to when it became a regular household item. It was developed in 1936 to cook a bean based stew. The inventor, Irving Naxon, eventually sold his design to Rival Manufacturing in 1970 and they re-branded the item to become the Crock Pot. The Crock Pot was marketed to…you guessed it…working mothers so they could prepare the food in the morning and have dinner ready and waiting when they got home. Things haven’t changed. Working mother or not, I think we can all agree it is nice to have your dinner ready and waiting at the end of a long day. 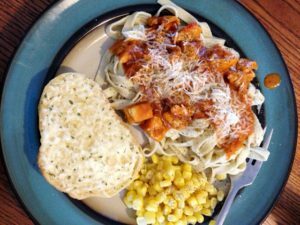 I recently came across a wonderful Cajun Chicken Alfredo – Slow Cooker recipe that I made for my family this week. It was a huge hit. Although the Country Pasta needs to be prepared separately, it was still a simple dinner that allowed us to maximize our time together that evening. I hope you enjoy the history and this slow cooker recipe. When you do, remember to grab a glass of wine and say a toast of thanks to Mr. Naxon for making your relaxing dinner night possible. Set the slow cooker and come home to a spicier twist on a traditional favorite. Relax, dinner is done! 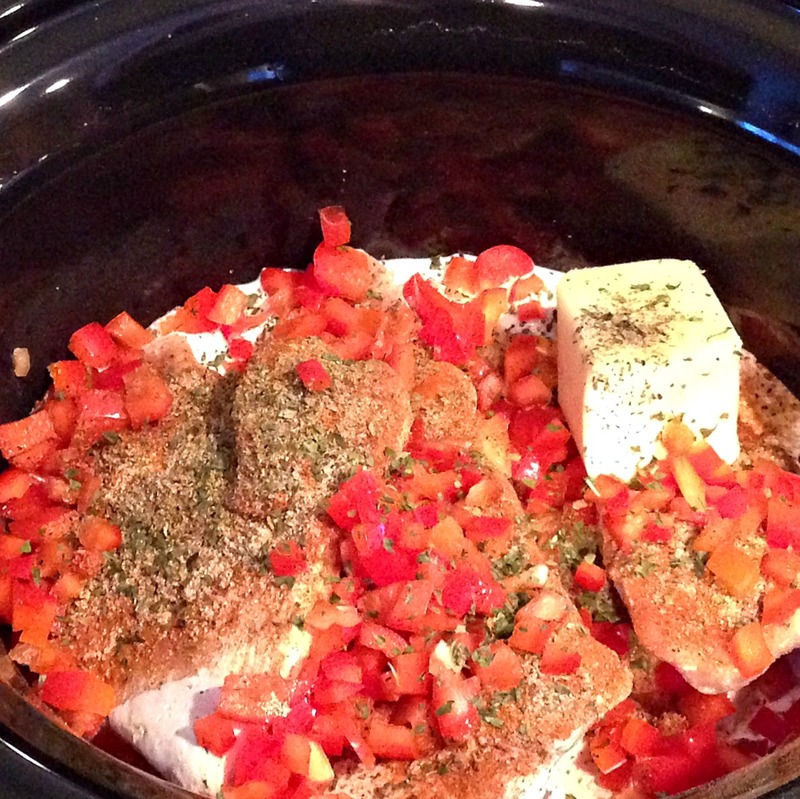 Place chicken breasts in the slow cooker and cover with Cajun seasoning. Next add the remaining ingredients except for the pasta, and set the slow cooker on high. *Note the high setting will cook the chicken in about two and half hours. If you prefer a longer cook time set the slow cooker on low for about 4 hours. Once chicken is fully cooked; shred the chicken and stir to combine with other ingredients. When chicken and sauce mixture are complete; cook pasta according to package directions. *Note the pasta will take about 20 minutes to cook to al dente. For timing purposes we suggest beginning to cook the pasta while you shred the chicken and finish the sauce. When pasta is cooked to al dente; drain water and top with Cajon Chicken Alfredo mixture. Garnish with Parmesan if desired. Enjoy! Chef’s Note: We opted not to use the green peppers and instead added mushrooms which were a great addition to this dish. 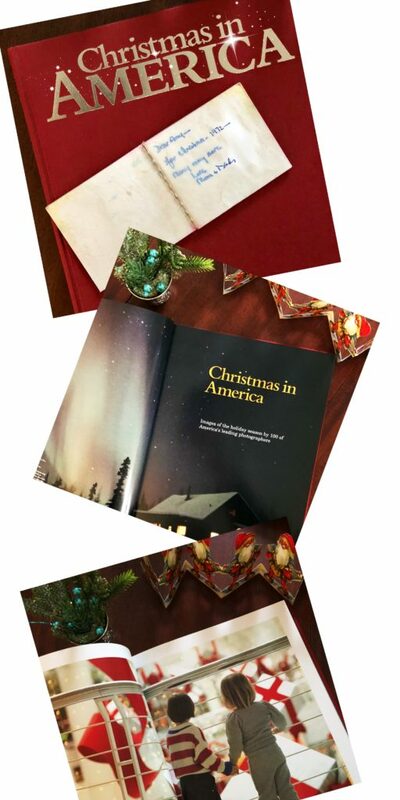 What is the first thing that comes to mind when you think of the holidays? Family? The scent of pumpkin and spice? Mom’s dressing? And then again, maybe stress is the first thing that comes to mind as you begin thinking about the big day. After all, if you are hosting, there are so many details to keep straight. Growing up in our house (and even now), we tend to miss the dinner time by at least one hour each year. My mom, who is an amazing cook, seems to always add more and more to the menu, thus putting herself behind a bit. Don’t get me wrong, we all try to plan and pitch in on the family meal, but she usually just takes things in her own hands and assigns us the easy tasks like corn and cranberries. And although we like to tease her relentlessly about her timing, I have to admit, in the end, it’s always worth the wait! 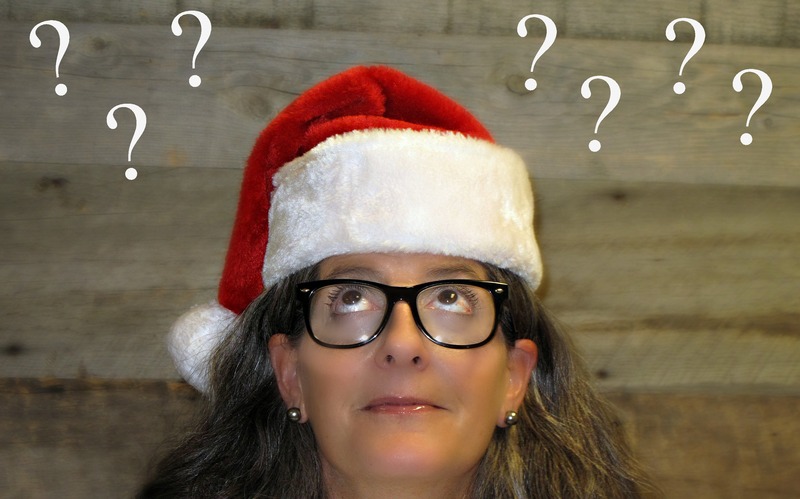 My mom laughs at our teasing now, probably because she is an old hat at this, but if you’re new to hosting, or even just want to try to make things a little easier on yourself, there are plenty of online resources you can turn to. 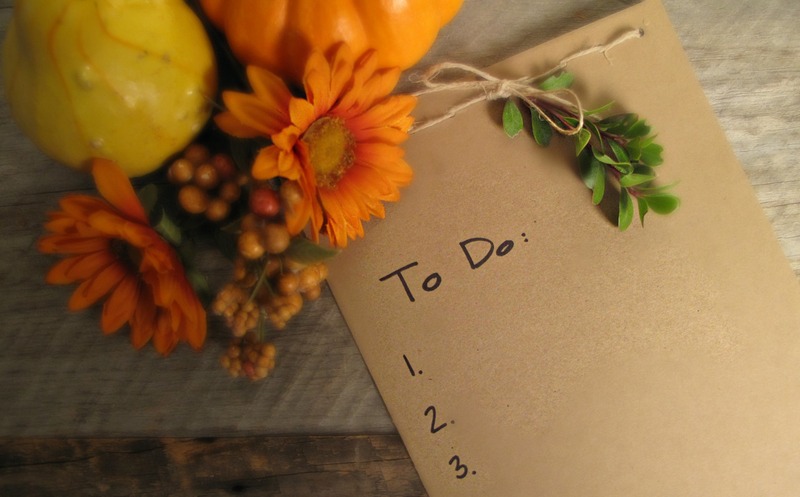 We have compiled a list of some we are going to try this year, including how to prepare a big meal, what family friendly movies to put in the queue, or even a checklist in hopes of keeping stomachs full and faces smiling. We hope these are helpful, and we wish you a relaxing and memorable time with your family. Don’t worry, even with your completely organized event, they will certainly find other things to tease you about. That’s all part of the fun! We hope you enjoy this wonderful recipe on a cool day with friends and family. In a large stock pot combine combine water, celery, and one half of the chopped onion. Place on high heat, and stir occasionally. While soup base is cooking start noodles in separate pot and cook until Al Dente. In a medium skillet brown ground beef with remaining onion until beef is cooked through. Drain any excess fat from pan. Add cooked ground beef to boiling water, celery and onion. Once noodles are cooked, drain and add to large stock pot, along with the diced tomatoes and tomato soup. Next add the baking soda and stir. Add baking soda slowly as the reaction could cause the soup to bubble over. To finish add the chicken base and heavy whipping cream. Once all ingredients are in simmer for 30 minutes over low heat, and stir frequently. It is hard to believe we are about to finish our 26th year of business here at Country Pasta. I was a mere 14 years old when my parents started making their homemade pasta. Yes, I realize you can do the math and figure out how old I am now, but doesn’t that just add significance to the story? I have spent the last 26 years of my life and career weaving in and out of being involved in the family business. I feel very fortunate to have grown up with the opportunity to have these types of experiences. Meeting with large company buyers at the age of 19 is not always something people get the chance to do. And I still recall my very first solo sales meeting with one of our biggest customers almost 10 years ago. It was nerve racking and exhilarating at the same time. This company is as grassroots as they come. For example, the very first logo they did was developed by their friend who owned the local print shop in town. The business did very well with that logo, growing distribution quite largely in the first 13 years of business. At the time, being a young ad exec, I thought we needed a fresh look and convinced my parents we needed to do an update. So began the process of introducing Country Pasta 2.0. So in 2003 we focused on cleaning up some of the many elements that were included in the first rendition, and made the colors a bit bolder. We were very pleased with this logo, and it had a good thirteen year run until earlier this year we decided once again to do another update. We are very excited to be launching our new logo over the course of the coming months! For this version we focused on giving the logo a more earthy/homegrown feel to it by adjusting the colors and updating the fonts a bit. Of course we wanted to keep the wheat stalks, but we updated them to a more natural looking version. We feel this look better represents the natural, high quality pasta that we provide you each and every day. In addition to updating the logo, we also decided to do a more comprehensive packaging change. And boy did we have fun with this! 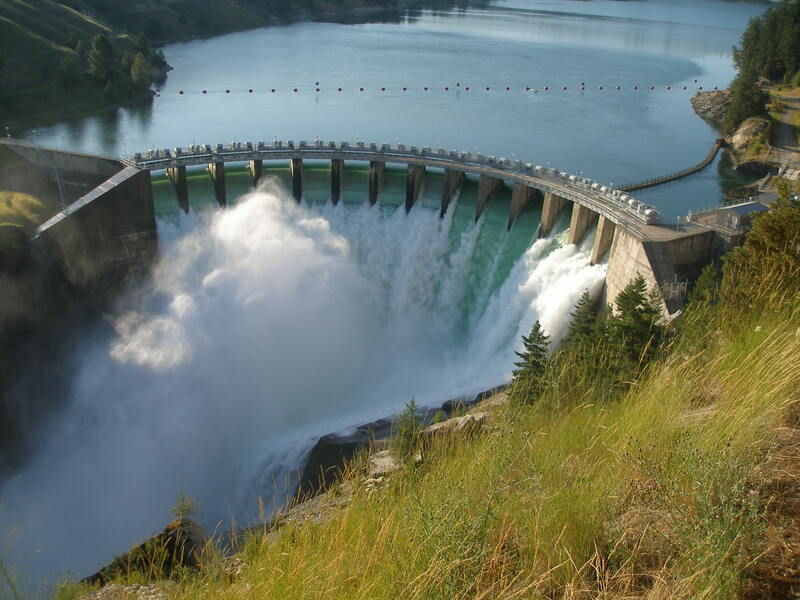 We worked with another great Montana company, The Wendt Agency, to help with these updates. Their team went above and beyond by showing us five great new looks. As you’ll see, the one we landed on includes a rustic wood look that we thought complemented the logo very well, and certainly triggered the wholesomeness and old fashioned elements that represent our pasta. We included our entire team, as well as extended family members, in this whole process. We had a lot of fun at meetings discussing the intricacies of the different designs and what we liked or didn’t like. Overall, it was a very fun process and we are excited to be sharing our new design with you. And of course since we were going to be launching new packaging, we had to do a website update as well. We look forward to continuing to share recipe ideas, stories from the factory, and other fun stuff with you through this outlet. Please be sure to check out our bold new site at countrypasta.com. As 2016 is coming to an end and we begin looking ahead to our 27th year of business, we are filled with optimism and fresh energy. We hope you are, as well! 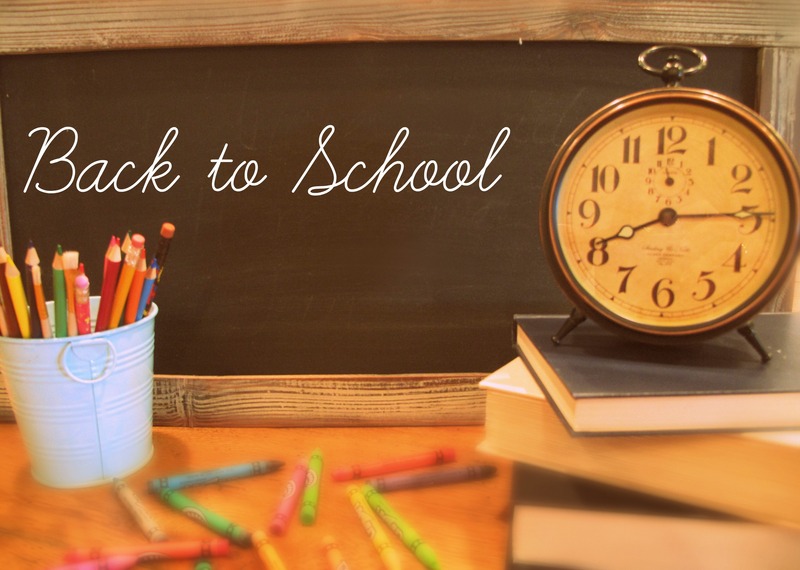 It’s that bittersweet time of year again….back-to-school time! On one hand, it is nice to be getting the kids and ourselves back in a routine. But on the other hand, it’s sad to see another summer come and go. We’ll miss the cool crisp mornings followed by warm carefree days, evenings outdoors, and of course barbecuing. And while we’ve all enjoyed grilled burgers, veggies and kabobs, there’s also a part of us that starts to yearn for comfort foods this time of year. Soups, casseroles, roasts, and of course using the crock pot for easy, ready-to-eat meals at the end of long days. Growing up, one of the things I remember about family meals is that my mom would be able to turn last night’s dinner into a whole new concoction for us for the next meal. It was incredible what she would come up with. We’d barely even know that it was the previous night’s pork chops we were eating. One of my current favorites is having roast one night, then the next night mixing all of the leftover ingredients and gravy together and topping some Country Pasta. This hits two of my favorite cooking techniques – using the crock pot, and repurposing our meals. Can you see a theme to my cooking – it needs to be quick! We hope you do some experimenting with your food this winter. Being creative will help to get us through until these long summer days arrive once again. Bring a large pot of water to a boil, add Country Pasta (water should cover all pasta). Cook pasta for 18 - 28 minutes, or until it reaches your desired "bite". While pasta is cooking, begin sautéing chopped bacon over medium/high heat in a deep skillet until it is brown and crispy. Next drain off excess fat, but leaving enough to coat the bottom of the skillet; add ground beef and cook thoroughly. Remove fat from ground beef if needed. Add the onion and garlic and stir into the cooked ground beef. Season meat mixture with salt, pepper, hot sauce, and Worcestershire sauce. Add 1/2 cup of beer and deglaze pan. Cook 5-6 minutes more, then stir in the tomatoes and tomato sauce. Add the hot (drained) pasta to the meat and sauce and stir to combine. Garnish with cooked bacon, sharp cheddar, and green onions. Shake up Taco Tuesday with our Mexican Chicken Pasta - perfect for a quick weeknight dinner. Ole! In a large skillet sauté diced chicken until cooked through. Once chicken is cooked add all other ingredients except pasta and simmer for 25 minutes. While chicken mixture is simmering cook Country Pasta according to package directions, then drain and set aside. To finish add pasta to chicken mixture and stir to coat. Garnish with fresh diced tomatoes, olives, avocado, and more shredded cheese. Enjoy! In a large skillet, brown beef and onion in butter over medium heat (until beef is no longer pink). Add the mushrooms, wine or beef broth, 1/4 cup water, 2 tablespoons parsley, bay leaf, clove, salt and pepper. Bring to boil, then reduce heat; cover and simmer until beef becomes tender (about an hour). Next combine flour and water until smooth (Tip: combine flour and water in quart jar; secure lid and shake!). Once combined stir into beef mixture. Bring to a boil once more; cook and stir for 2 minutes or until thickened. You can know remove the bay leaf and clove. Stir in browning sauce if desired. This is a wonderful traditional Kugel recipe that would be a welcome addition to any Sunday brunch or holiday gathering. Cook noodles 18 minutes or until the desired “bite” is reached; strain and set aside. In a large mixing bowl combine all other ingredients; add cooked noodles and stir into mixture. Pour mixture into a greased 9 x 13 baking dish. Bake for 30 to 45 minutes, or until top is golden brown and middle is set. Once removed from oven let rest for 10-20 minutes before serving. Combine the cooled pasta with eggs and grated cheeses in large bowl. Season pasta mixture with salt and pepper to taste. Add olive oil to a large non-stick sauté pan, or a well-greased cast iron skillet and heat to medium heat. Once hot, add ½ the spaghetti mixture to the pan and flatten it out. Next lay 4 slices of American cheese, and add the remaining pasta mixture to the top. Cook the flipped side for an additional 5 minutes until golden brown. This is a great all around family friendly dish, but we think it has so much more potential! Customize by mixing in cooked bacon bits, chopped & sautéed onion, or minced garlic for a more grown up flair. Our taste testers prefer a little spiciness and topped theirs with hot sauce and green chives. Enjoy! We think this sauce would make a fabulous dip too! Original recipe courtesy of Gal on a Mission. When the pasta is cooked and drained, incorporate the sauce mixture into the pasta and stir until pasta is evenly coated. Using a large pan or skillet combine the cream cheese, hot sauce, and chicken stock, stir over medium heat until the cream cheese has melted. Next add paprika, garlic powder, salt and pepper into sauce and stir to combine. Add shredded chicken to sauce mixture. Combine garlic, chili’s, and ginger and fry for approximately 1 minute in 2 tablespoons of vegetable oil in a large wok or sauté pan. Next, add onion and continue cooking for 10 minutes until the onions are transparent. Be sure not to let them brown. Halfway through cooking, add the chili powder, turmeric and curry powder. Add the coconut milk and simmer for approximately 20 minutes. Place sliced chicken in separate pan and fry in remaining oil along with the ground coriander. Once the meat is cooked, add it to the above sauce and let it cook for a further 30 minutes on a low heat. While sauce is simmering on low, cook pasta according to directions. If the sauce needs to be thickened, simply add cream or mix a teaspoon of corn flour with a drop of milk and add to sauce. Bring the chicken broth and chicken to boil. Add all other ingredients except noodles. Add noodles and boil until noodles are tender, about 20 minutes. To roast whole chicken: remove the neck and giblets, wash and pat dry with paper towels. Spread soft margarine all over skin and place about 1 tablespoon in the cavity (or can use spray oil, butter will burn.) Place on a rack in a shallow roasting pan, the one that comes with most ovens works great on a cookie rack. Sprinkle with lemon pepper, seasoning salt, paprika, and a little poultry seasoning, sprinkle inside cavity also. Bake uncovered at 375 degrees for about 1 hour, turning it over after 1/2 hour. To test for doneness separate the leg and thigh from the body, if juices run clear it is done, if it is still red or bloody continue cooking, checking at 10 minute intervals. Recipe from Taste of Home: www.tasteofhome.com. Cook both the broccoli and pasta according to package directions; drain. In a large saucepan, melt butter; stir in flour until smooth. Gradually stir in the water, milk and pepper. Reduce heat; stir in cheese until melted. Stir in the broccoli, pasta and sour cream; heat through (do not boil). This week, for our 13th Act of Kindness, we gave away over 360 bags of Country Pasta to visitors of Glacier National Park. 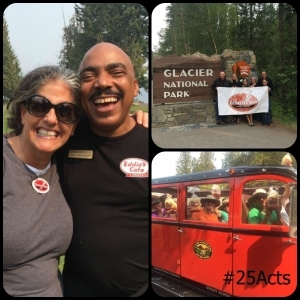 One of the things we love about where we live is our proximity to Glacier Park, so it seemed only fitting to include the Park in our Acts of Kindness somehow. We chose August 25th because the National Parks were celebrating their 100th Birthday, and Glacier specifically celebrated 99 years as an official National Park. Throughout this year I continue to feel deep appreciation for the many customers we have who make this all possible. This year and our 25 Acts of Kindness are our way of giving back to each of you. We thank you, and we look forward to continuing to share our appreciation. 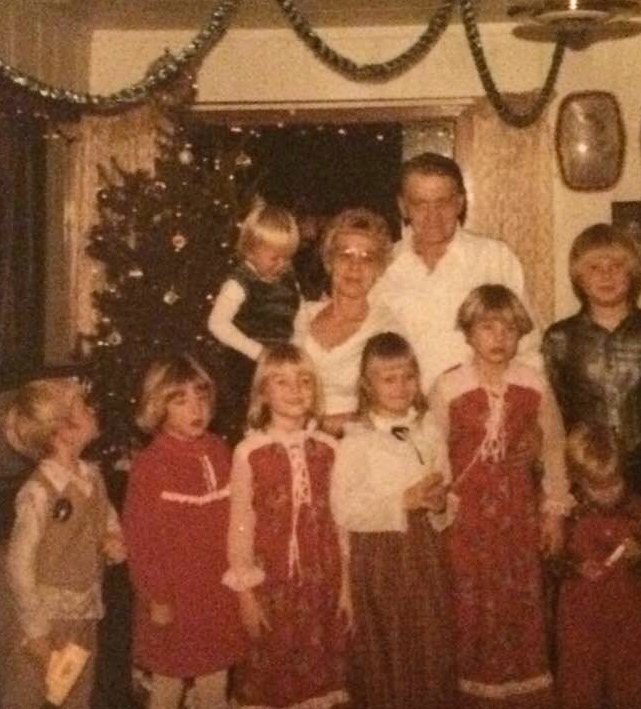 I grew up in a pretty traditional household, where my Mother and paternal Grandmother (who lived with us) did most of the cooking. Breakfasts would often find hot or cold cereal served, lunch sacks filled with PB&J’s and a piece of fruit, and for dinner our plates were filled with a balanced meal. However, Thursday nights were spaghetti nights. The menu consisted of San Giorgio #11 (now called Capellini) topped with my mother’s grandmother’s gravy (aka red sauce) and meatballs. My father enjoyed this meal – often having seconds if available. But it wasn’t until many years later that I learned how much my Dad really loved pasta and cooking. One day I walked into the kitchen to find him working diligently on something in a big stock pot on the stove. It smelled divine…and the smile on his face was as big as the universe. I tried to mask my surprise that he was cooking and asked, “Dad, what are you making?” Truth be told, I really wanted to say, “Dad, what are you doing?” He turned to me and said “Punk, I am making Chicken Cacciatore.” That pot cooked for hours with my Dad lovingly stirring it throughout the day. And just when I thought his smile could not get any bigger, he dished the deliciousness over the San Giorgio #11 and just beamed. At 88 years old, it is harder for my Dad to work all day in the kitchen making this dish, but on occasion he will. He shops for all the right ingredients, prepares them for the pot, and stirs with love every hour or so. That smile on his face is still priceless to me when he dishes it up in a big bowl. Be sure to continue building your memories this year. 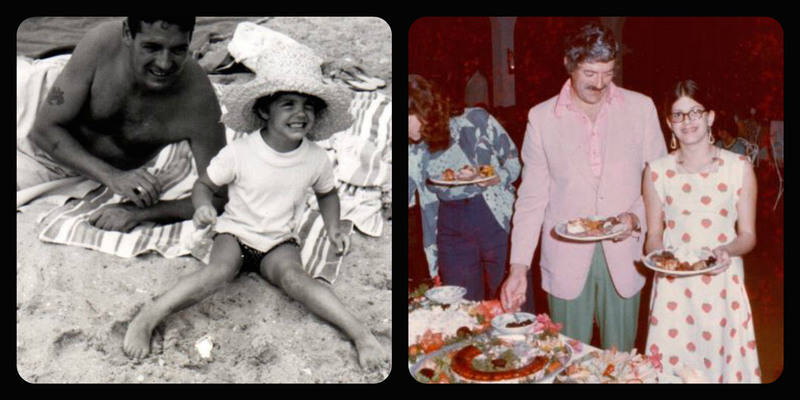 Wishing a wonderful Father’s Day to all those secret chefs out there. You know those games where you try to guess the amount of, say, jelly beans in a jar? I think it would be fun to play that trying to guess the number of cookbooks my mom owns. However, would we also count the numerous cooking magazines? Or strictly limit it to actual books? And do we count duplicates? I know she has a few of those, too. Either way, I would love to know a total, but would not even have a clue how many to guess! The funny thing about all these cookbooks is that, while I know she’s read and used many of the recipes, my guess is that she has rarely followed the directions. She is the type of person who throws in a handful of this or a dollop of that, and it always turns out delicious! We learned to eat a lot of whatever we really liked at mealtimes, because as she self admits, it never tastes the same twice. She does not only use her cookbooks in the kitchen. While some people might read novels at night, she will read cookbooks. All these books she has can be found here and there throughout her house, sometimes with tissue marking the page of a good recipe, or maybe a dollar bill here and there. Whatever was convenient when she needed to be able to find that great recipe again. Food has always been a big part of our family, and is the way my mom shows her love. Cooking for friends, family, those in need – she enjoys warming hearts and filling bellies with her creative concoctions. 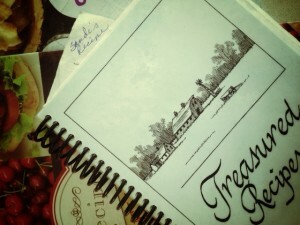 I know some of my mom’s most treasured items are the recipes she will find of my grandmother’s or friends from years ago. The handwritten list of ingredients and instructions, usually with some butter, chocolate or another item dripped on them. This Mother’s Day, take a moment to look through your recipe books and cards. Maybe write out what your favorite recipe is today, and put it in a place where your children may one day stumble upon it and be able to think back to their childhood favorites. Food is often what connects us to both the past and the future. Continue to grow that bridge. Wishing you a wonderful, delicious Mother’s Day! As many of you know, 2015 marks Country Pasta’s 25th year of business, and you may have seen that we started the year by purchasing a local shopper’s groceries for her as our first of 25 Acts of Kindness. I wanted to share with you a little more about this concept and why we are doing it. To be quite honest, I stole the idea from another company I heard was celebrating their 60th year in business last year. Upon first hearing about this, I thought it was a great concept, and one I thought was worth jumping on board with. 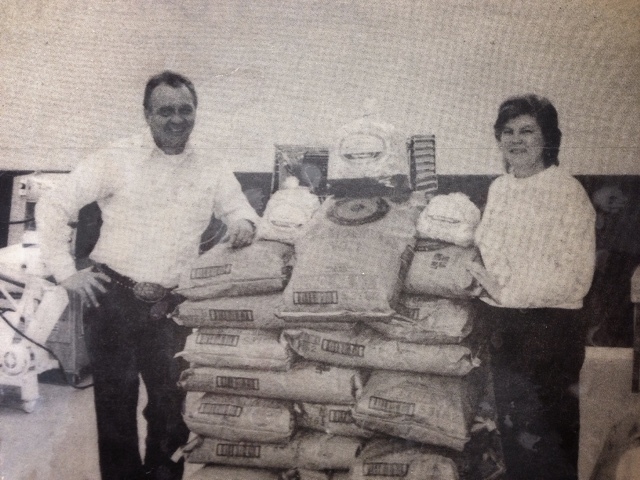 Country Pasta founders, Dean and Linda Knutson, displaying the quality semolina they use to make the product and the early packages of Country Pasta. At the supermarket today, consumers are overwhelmed with product options to choose from. One of the most interesting things to me lately has been the multiple options of the same item, just in different sizes. Does anyone know how many different ways you can purchase a candy bar these days? You have regular size, king size, fun size, miniatures, bite size…did I even get them all? We recognize that you have many options to select from, and we greatly appreciate 25 years of support for Homemade Style Country Pasta products. In an effort to give back to our customers, we are coming up with 25 ways that we can say thanks, while have fun doing it! In addition to surprising shoppers by purchasing their groceries, we have also donated to food banks, and have plans to give pasta away, Montana themed items away, and are launching one of our big acts of the year, which is a Montana trip give-away. One lucky customer and their guest will win a trip for two to Montana to enjoy the beauty of this area we get to call home – including a boat cruise around Flathead Lake, a visit to our headquarters, a trip to Glacier National Park, and many more fun activities. So we look forward to continuing our 25 Acts and we hope you will have as much fun with this as we plan to. And once again, we thank you for being a valued customer. Here’s to the next 25! Grandma Vi and Grandpa Orville Knutson and their grandchildren at Christmas. I must have been destined to be in the food industry. I remember Christmas as a kid, and the one gift that stands out above the amazing child size doll, cool miniature television, or fun Popeye video game that annoyed the entire family in the car on our trip to North Dakota, is a container of my grandmother’s homemade applesauce that I got to have all to myself. This standard menu item for our holiday gatherings was a favorite among the entire family. What I didn’t like was only getting a tablespoon or two each time. So one year when Grandma Vi wrapped up a container – I believe it was the old yellow margarine plastic container – of this delicacy for me and only me, I was ecstatic! Still today I remember how her special applesauce tasted, and it takes me back in time to the holiday dinners with our whole family. 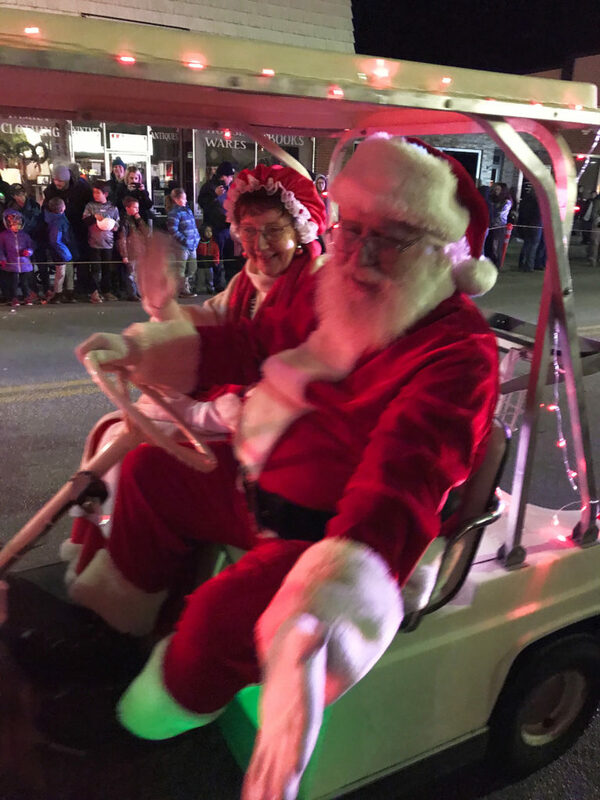 I’m sure many people have their favored holiday recipes – cookies, fudge, soup mixtures, and of course applesauce – and what a treasure it is to be the recipient of those delicious concoctions. The concept of giving food as gifts is something that has become a big business – Hickory Farms, Edible Arrangements Bouquets, Omaha Steaks…heck, my mom once sent a full lobster dinner to friends in North Dakota! In today’s world, it is often quite challenging to decide what gifts to give. Colleagues, friends, bosses – we all are inundated with many consumer items each and every day, and it’s difficult to make that kind of decision. One thing that is constant for everyone, however, is food. So I say take some time and bake up some goodies, blend your own mix of pancakes or cookies, or get out the old apple strainer and red hots (that’s the secret ingredient in case you were wondering), go to work then package your delicacies with a nice bow. Or in an old margarine container. Your gift recipients will savor your gift and be happy they don’t need to find space for another gadget. Wishing you all a fun, safe and delicious holiday season. A healthy, hearty and filling soup to satisfy your hunger even on the coldest winter night! In a large stock pot, combine broth, tomatoes, beans, carrots, celery, onion, thyme, sage, bay leaves, and 1/2 teaspoon each salt and black pepper. Once boiling, add Homemade Style Country Pasta. In a saute pan, melt 3 Tbsp. of butter and add chopped carrots and zucchini. Saute for about 4 minutes then add celery and onion. Saute for another 2 minutes, add 2 cloves minced garlic and stir. Top with fresh chopped spinach. Let warm, then add entire vegetable mixture to the soup. Continue soup at a rolling boil until pasta is cooked to your desired bite (total time for pasta to cook is around 18-20 minutes). Garnish with Parmesan cheese and basil sprigs. Choosing a name for your child is not as easy of a task as one might think. Sure there are plenty of names you like – some you may even have mentally filed away for years in anticipation of one day labeling your new offspring. But when it comes time to actually put that name in print, you have to be sure. And I mean really sure, that it is in fact something you…and he or she…can live with for the rest of everyone’s lives. How does it sound when you say it nicely? How does it sound if you need to yell their name? How will they be teased because of their name? Do the initials spell anything inappropriate? 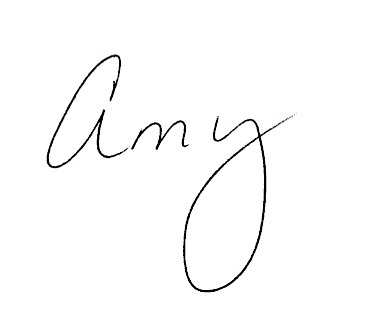 And let’s not forget, how does your spouse or partner like this perfect name? I was lucky to be faced with this challenge in the past year as I found out I was pregnant with my first baby. I’m somewhat (wink, wink) of a planner, so waiting to find out if it was a boy or girl was considered only for a millisecond. We needed to know. Both of us guessed boy, and sure enough, we found out we were in fact going to have a son. It is amazing to me how quickly I began thinking about my hopes for this child’s future. And beyond wanting him to have toys and items to enjoy, what I really hope for him is to be a good, strong, and honorable man as an adult. 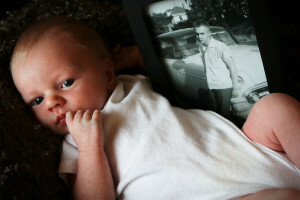 I was lucky to have been born to a father who exemplifies what a man should be. Brave. Hard working. Caring of others. Smart. Funny. Loyal. Adventurous. 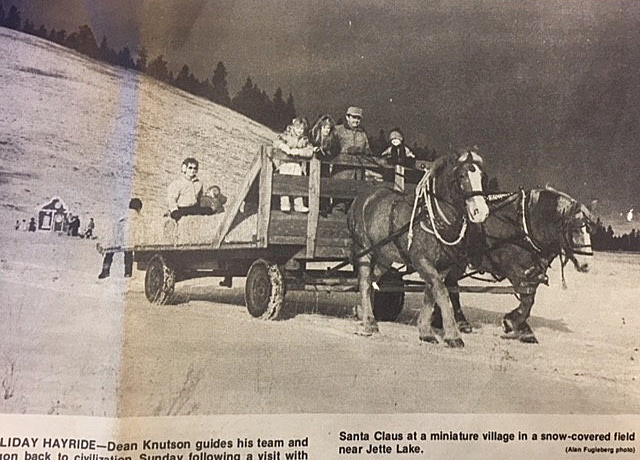 My dad, Dean Knutson, the founder of Country Pasta, was born in a small town in North Dakota. The oldest son in a family of 7, it was on the dairy farm that he learned the value of hard work. After graduating from high school he joined the North Dakota National Guard, where he added bravery, loyalty and adventure to his characteristics. He landed himself in Montana as the manager of a lumber yard, and from there began a career of building new businesses, including the last business he started, Country Foods. Notice that I did not mention college in any of this. He did not attend one college class, and yet through hard work and perseverance, he was able to start, build and sell an array of businesses. The University of Montana Business School invited my dad to speak to one of their classes one time and before he started his presentation he looked around the room and said, “so this is what a college classroom looks like.” Yes, I did mention that he had a good sense of humor. 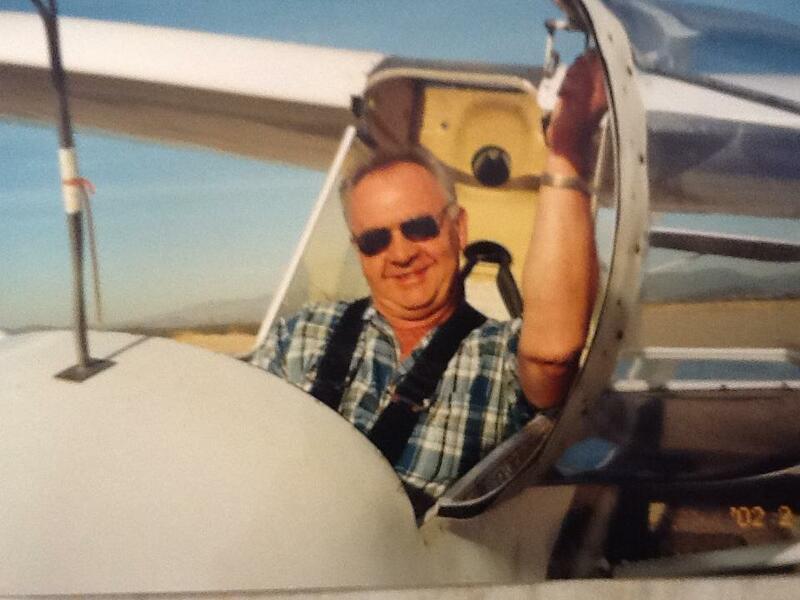 The man always had an eye for adventure. I sometimes think he may have had a bit of attention deficit disorder when it came to his extracurricular activities, and enjoyed things from each end of the spectrum. He went from raising large Percheron horses down to miniature ponies. 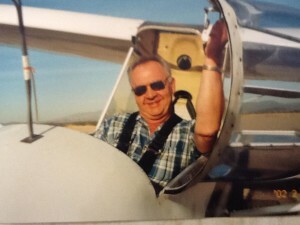 He went from living on a ranch, feeding his 200 cows with horse and sleigh to enjoying the speed and excitement of riding snowmobiles in the mountains or flying one of his planes across the country. He grew up in a tiny town in the Midwest then spent a large part of time in the city of Mesa, Arizona. He loved adventures and experiences, and there was never a time when he didn’t have something new and exciting he was enjoying. This amazing man passed away 8 years ago at the young age of 60. I still remember the last word he said was “beautiful” as he was looking at my mother sitting beside him. Even at the end of his life he was still showing us the kind of man he was. A loving one. So when it came time to name my son, I wanted it to include a name that represented the type of man I hope he one day becomes. Brave. Hard working. Caring of others. Smart. Funny. Loyal. Adventurous. There was no other option but to include my father’s name in his. Rokton Dean Walter was born on April 1st this year, and although he will unfortunately never have the opportunity to meet my father, his grandfather, he will always know that he carries the life of this amazing man on into the future. As you celebrate Father’s Day this year I hope you will take the time to think about the traits and characteristics you appreciate about your fathers, and what they pass down to you and future generations. Wishing you all a wonderful day! Craving pasta and bacon (who doesn’t?) but looking for something to fill your veggie quota as well? Then try this fresh, but hearty carbonara recipe…filled with all of the above! Adapted from Real Simple’s Pasta Carbonara. Fry bacon in a large skillet over medium heat. While the bacon is frying, chop all of your veggies and prep your eggs, Parmesan, salt, pepper, and parsley. While your pasta is cooking, sauté the mushrooms, asparagus, and shallots in a bit of bacon grease, about 5 minutes or until all veggies are to the bite you prefer. In a large mixing bowl, whisk the egg yolks. Continue whisking and add 2 tablespoons of the bacon drippings. Working quickly while your pasta is hot, add the drained pasta and Parmesan to the yolk mixture. Toss with tongs to mix thoroughly. Add your sautéed veggies, bacon, and parsley, continuing to toss until mixed well. Garnish with extra Parmesan and a sprig of parsley if desired. The heat of the pasta cooks the eggs, but not thoroughly. It may be advisable for young children, the elderly, and anyone with a compromised immune system to avoid eating this dish. You may also use 1/2 cup of egg substitute or pasteurized egg if you prefer. Thanks to www.plainchicken.com for recipe inspiration! Spray a 9 inch pie plate with cooking spray & set aside. Cook the pasta per package directions. Toss pasta with beaten eggs & 2/3 of the Parmesan cheese. Press the pasta into the pie plate. It should be densely packed. In a large skillet, brown the Italian sausage, then drain. Add spaghetti sauce & chopped basil and mushrooms. Stir until evenly warmed, then remove from heat. Combine cottage cheese and 1/4 cup shredded mozzarella, then spread over pasta. Evenly layer the spaghetti sauce mixture over the cottage cheese. Sprinkle the remaining mozzarella & Parmesan on top. Bake at 350 for 30 minutes, or until heated through and cheese is melted. 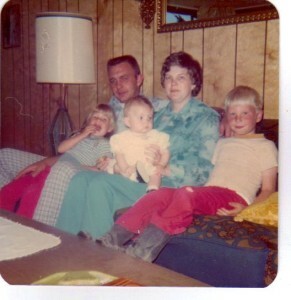 I feel like I won the lottery when they were assigning moms back in 1975. However, I also believe several of my personal characteristics are the direct result of trying to be or do things the complete opposite of my mom. I don’t think I’m unusual. I know many girls/women who, for example, grew up in situations where their mom was a neat freak, and they say to themselves, “I’m never going to worry about cleaning everyday and instead just enjoy life.” Or their moms are super savers, so they spend like their life depends on it. We try to take the polar opposite route. Yet regardless of how hard we try to be different, we are often reminded that “the apple doesn’t fall far from the tree.” A great saying for us in the food world. And while jokingly I say I tried to be the apple that somehow rolled away from the tree, there are so many traits my mom has that I could only be lucky enough to have gotten from her. And from these traits that I’ve observed in her over the years, I have had the opportunity to learn many lessons. The Knutson Family…back in 1975. Be kind. My mom does not have a mean bone in her body. She treats everyone as though they are her long lost friends, regardless of how long she has known them. You only need to spend a minute with my mom to pick up on this particular trait. Have fun with friends…and strangers who are not yet friends. My mom knows how to have a good time. And she loves get-togethers with friends and family, always tending to everyone’s needs and desires. But it’s not only current friends she has fun with, the woman can make herself new friends better than anyone I know. It typically starts with some sort of “Griswold moment” happening in public, and the next thing you know she’s got a new friend coming to dinner. She knows how to have fun, and how to not take herself too seriously. I think many people are attracted to that quality in her because it makes it so easy, and fun, to be around her. Be respectful and compassionate. My mom is amazing with both older people and those in need. She is always listening patiently, making sure everyone is feeling included, and ensuring people have what they require. One of the most beautiful things I’ve observed my mom doing is giving my grandfather a foot massage when he was in the hospital nearing the end of his time on earth. She had no hesitation and her only concern was that he was comfortable and cared for. Adapt, make the best of your circumstances, and move on. My mom has had to overcome many obstacles and challenges and has always done a great job at adapting to the situation, making the best of where she was, and moving on. The most recent example I have of this, and one that I am so proud of her for, is adjusting to life after my father passed away. They were married for exactly 40 years when he passed away back in 2006. She had gone from her parents’ home directly to being married to my dad and had never been on her own. I’ve talked to other children of widowed parents, and they have to struggle with their parents moving on. They end up not wanting to do anything, and are very depressed. 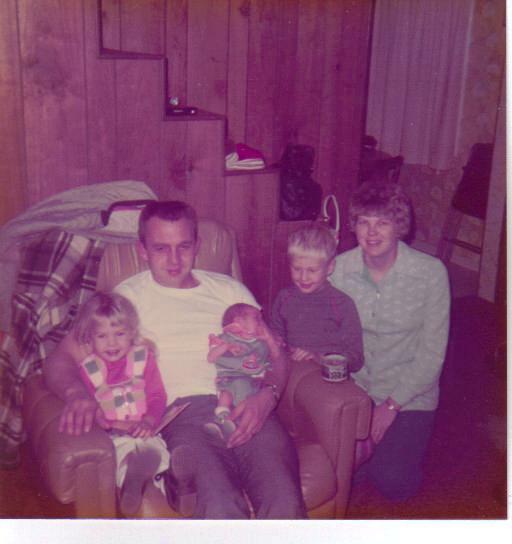 To say my mom was sad when my dad passed away would be an understatement. He was a tremendous man, husband and father, and it was an incredibly difficult time in her life. At first she relied a lot on other people to do many everyday tasks for her. Now, however, she has become such an independent and strong woman. She is the gal who gets out there and mows the steep hill at her house, and unloads 2 tons of beef into her freezers by herself, or goes gallivanting to Spain or Germany, and volunteers for a week-long shift at the Medora Musical in North Dakota. I greatly admire her for her spirit and her adaptability. No, things are not perfect, but she’s making the best of them and living her life to the fullest! Show your love with food. Quite possibly the thing my mom is most known for is her excellent cooking. She can make these amazing meals, and feed an army of people, while making it look like a walk in the park. She loves food and enjoys making people happy with her delicious concoctions. Many people have been lucky enough to be on the receiving end of her love…and the food that comes with it. I always like to say that Country Pasta is the combination of my dad’s entrepreneurial talents and my mom’s love of cooking. Without one, or the other, I have great doubts that the pasta could ever have reached as many people as it has today. I hope the next time you have Country Pasta, you think of your own mother, and the many amazing traits she has. And know that your next bite is filled with love and lessons, right from the founder. Wishing my mom, and mothers all over, a memorable day filled with family, love, and delicious food. Enjoy with a side of garlic bread (and a favorite red wine for you, with a big glass of milk for the kids). While pasta is cooking, in a skillet cook beef, onion and mushrooms over medium heat until meat is browned. Then add garlic and cook an additional minute. Drain the grease, and add the spaghetti sauce, olives, and seasonings. In an ungreased 5 quart crock pot, spread 1/4 of the meat sauce on the bottom. Put 1/3 of the cooked and drained noodles on top of the sauce. Combine cheeses and spread 1/3 of the mixture on top of the noodles. Repeat layers, and end/top with remaining meat sauce. Cover and cook on low in the crock put for about 4-5 hours. We want to thank you all for your involvement with the 6th Annual Live Locally 5K. We are thrilled to announce that together we were able to raise an additional $3,000 to be given to Mission Valley Aquatics. This brings Live Locally’s total contribution to the pool, to OVER $10,000! We need to say a huge thank you to our signature sponsors. Their continued support is what makes this race possible. We are humbled each and every year that our signature sponsors continue to find value in this race and support the event. We sincerely thank you. throughout the day. 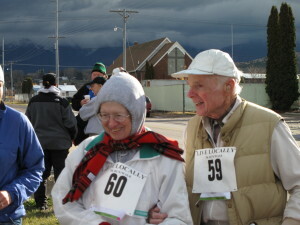 We also appreciate that you have Polson Pride, and that shows through in the efforts you put into this race each year. Thank you. I know one of the favorite parts of this race are the numerous locally donated prizes for the drawing. We gave away over 50 items this year, so thank you so much to the many local businesses who contributed to this portion of the race. We need to say another big thank you to the volunteers. 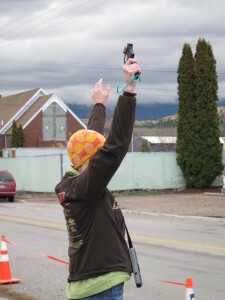 From fruit cutting, to decorating, to serving food, to keeping the racers safe on the roads, your involvement in this race is so critical to keep it running without a hitch. Thank you greatly for your help! Thanks to Sara Gunderson for making the amazing awards this year and to Mike Lozar/Total Screen Design for designing another great shirt for 2012! We are so lucky to have such talented people, from right here in Polson. And finally, thank you again to all the participants who weathered the rain this weekend to join in the fun of the Live Locally 5K. We hope you enjoyed the course, prizes, music, jokes from Shawn, food and awards. 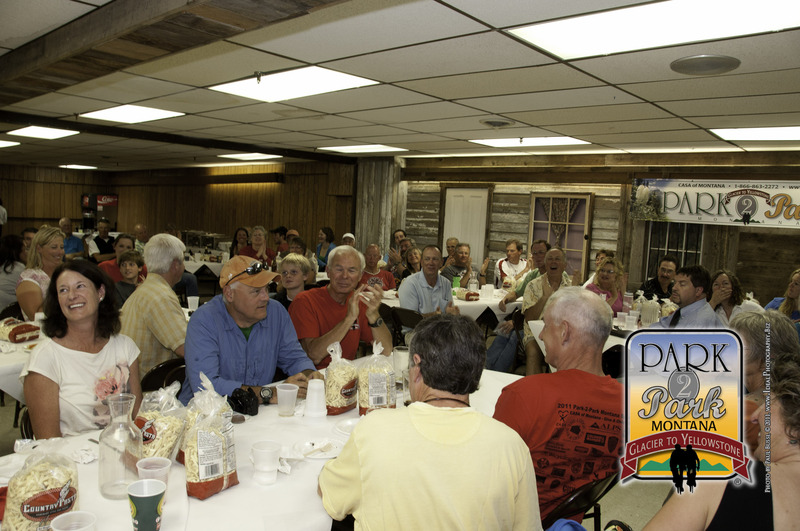 We sure enjoyed having you all join us for this event. Congratulations to all of the age group winners (listed below) and to everyone who participated (see link at top of page for complete times)! Thanks again, and we look forward to seeing you all again next year! 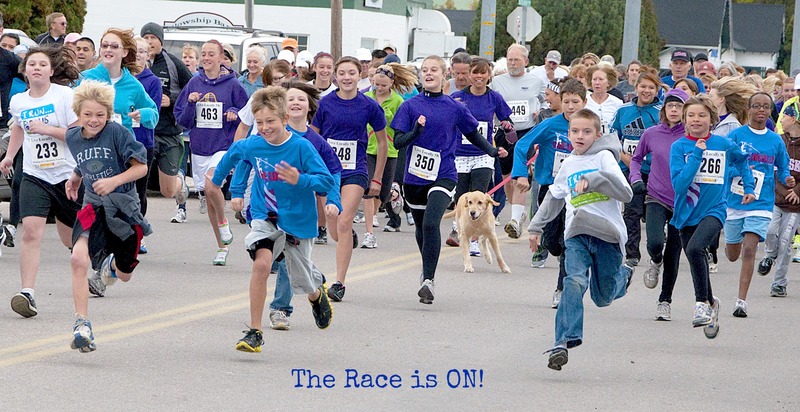 9/18/2012 ~ Live Locally 5K Event! 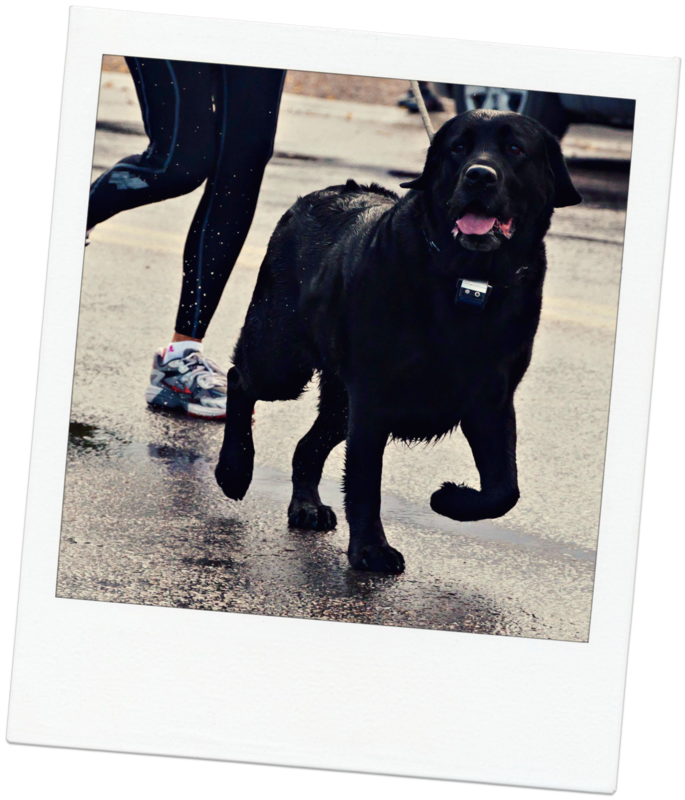 Country Pasta and Health Care Plus are excited to announce the 6th annual Live Locally 5K Run/Walk to promote lung health awareness and National Pasta month! This year’s event will again be hosted by Health Care Plus in Polson, and feature refreshments and prizes donated by your local business community. Race participants will also receive a shirt and goodie bag at registration. Registration: September 27th – October 20th – $20 Registration forms should be turned in to Health Care Plus. All proceeds from this year’s race will be donated to Mission Valley Aquatics, whose vision is “to provide a state-of-the-art aquatic facility that enhances the health, fitness, safety, recreation and quality of life for all in the Mission Valley.” Through years of hard work, careful planning, tireless fundraising and perseverance, the dream for this facility is finally coming true! Here’s a brief update from MVA on the status of the building and fundraising projects. The aquatic center will feature an 8 lane, 25 yard lap pool (that meets specifications for high school state level swim meets) and a smaller pool “suitable for instruction, therapy and aqua aerobics.” Not only will a facility like this encourage and strengthen healthy exercise habits in our youth (and those still young at heart! ), but meets and events held in this facility will bring people in to Polson, with dollars to spend strengthening our business community. Definitely a win-win situation! Come participate in the Live Locally 5K Run/Walk on October 20th and be a part of making Polson healthy!! Our wonderful Montana distributor Randy Lindberg of Quality Foods Distributing in Bozeman stopped by Country Foods to pick up an order one day in early June. He mentioned that he was able to place our 2 Country Pasta items in the 6 grocery store locations within Yellowstone National park…and that the folks in charge would like some demo (sampling) support. Needless to say, we were immediately excited! 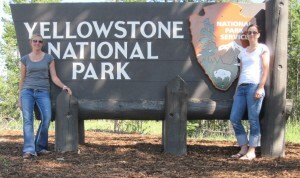 Honestly…to go spend a few days in Yellowstone during summer “working.” Who could pass that opportunity up? Arrangements were made, and by arrangements I mean that all the hotels were booked up in West Yellowstone, MT (unless we were willing to fork out $265!) where we would spend our first night. Our choices limited, Heather managed to secure the last KOA Kabin at a campground just outside of West Yellowstone (whew!). For night number two, she finagled a 12’ x 12’ tent site near the Grant Village store. Fortunately (we checked) both locations had shower facilities available! For each day in the park, we planned to sample a cold pasta salad at two locations, spending a few hours in each. Since we were going to “rough it” in the Park, we spent some time digging up our camping lists, comparing notes and making adjustments. Needless to say, between Heather’s extensive Montana backpacking and hiking experiences and my week-long childhood camping expeditions into the Eagle Cap Wilderness in Oregon- we were over prepared! I won’t include the whole list, but here is a sampling: Can opener, tent, tarp, sleeping bag, pillow (I STILL forgot mine! ), bucket for dishes, axe, firewood (no one wants to pay ridiculous prices for a small box of firewood in a park… come on), coolers filled with pasta, ice, headlamp, FOOD, bottled water, sampling equipment, gift basket (we gave away a prize), bug spray, lantern, towel (drat, I forgot that too)… and the list goes on! After taking bets on whether or not my packing skills were up to the task, we stuffed every available nook and cranny of the Nissan Murano full of supplies and took off! After a (mostly) uneventful drive, we arrived in West Yellowstone just about dinnertime. We unpacked what we needed for the night at the KOA Kabin and headed into town to find some vittles. We ended up at a pizza joint in town, full of locals enjoying the sports bar. The Kabin was comfortable, but I can’t remember the last time I slept on the top bunk. Fortunately, I didn’t roll out and hit the floor. In the morning, we feasted on instant oatmeal and steaming hot Tipu’s Chai before packing up and heading to our first store. Canyon Village was bustling and full of activity by 10 am, and everyone was on a mission! Our little table was next to the cash register and across the aisle from the ice cream, so pasta was a tough sell in this store! We persevered, made some new friends and departed with high hopes for store number two. We stopped to have peanut butter & jelly sandwiches at a beautiful waterfall along the way and got some great pictures. While crossing river to the Fishing Bridge store, we got an up close and personal look at a wandering bison working his way back to the wilderness. Fishing Bridge was an easier place to sample; we set up outside between the two entrances and were able to chat more with folks going in and out. They were also hungrier at this time of day, and we were happier with our results! That evening we drove to Grant Village, where we would stay the night in our deluxe…tent. Being “experienced” campers, we pitched the tent and started a fire before the temperature dropped. 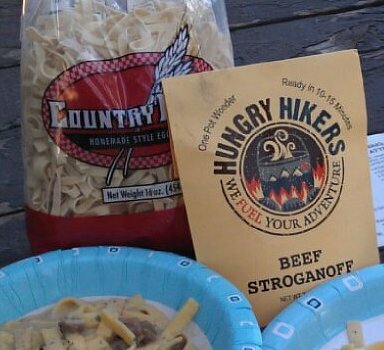 We had been eagerly awaiting the chance to try Hungry Hiker’s Beef Stroganoff (they of course use Country Pasta). So we tore open the package, followed the directions, and enjoyed a delicious hot meal! After dinner and dishes, okay – just one dish, we enjoyed s’mores over the campfire and planned our attack on the next 2 stores. After a chilly, semi-comfortable night listening to the “neighbors,” morning brought welcome warmth and purpose. The next event was scheduled for 10 A.M. in Grant Village’s store. We gave out many samples to excited customers and learned several interesting tidbits about the park from the folks who return each summer to work there. We even heard a story about a sleepy bison who loved to spend the night just outside the door to a store employee’s RV. She would routinely call in to work explaining that she would arrive after the bison got up for the day! Moving to our final location was very exciting, since we would be setting up at the largest Old Faithful store. This store has two levels, and was wall-to-wall people for the entire 3 hours we were there! We sampled to folks who had traveled from all the way from Israel to vacation in the Park. 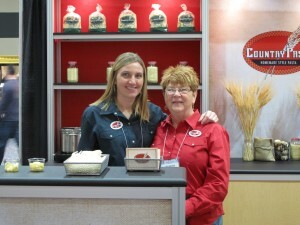 We met folks who had used our products for years, as well as many people who had never heard of Country Pasta. Near the end of the afternoon, Heather was kind enough to hold down the fort while I watched Old Faithful in person (for the first time). What a sight! When we served ourselves out of a job, we packed our supplies (and souvenirs) in to the car one last time and prepared for the drive back to Polson. It was agreed that we should reflect on our time in Yellowstone while enjoying Montana-made Wilcoxson’s ice cream, available upstairs in the Old Faithful store. We had a memorable trip, and it was an exciting opportunity that I am glad we were able to participate in. As we drove out of the park toward West Yellowstone and home, we tallied the license plates we had seen on our short 2 day visit. The results are surprising…we counted plates from 45 states and 4 Canadian provinces. What a trip!! Check out our slideshow for the highlights…including Old Faithful! 10/26/2011 ~ Live Locally Results!!! Hats and bracelets are still for sale at Health Care Plus. All proceeds go to Melinda to help with the continued costs of training and travel. This summer Country Pasta helped support the Park 2 Park ride in Montana. Bicycle riders begin their journey at Glacier National park and ride for several days, until they reach Yellowstone National Park, a total of about 400 miles. This event supports CASA, or Court Appointed Special Advocates. 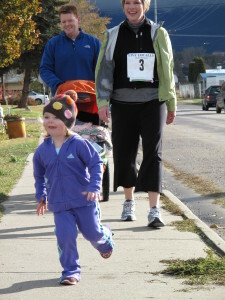 CASA volunteers help abused and neglected children in Montana, and this year’s event raised over $60,000 for the cause. Below is a heartfelt letter from the race coordinator. Thanks everyone for doing your part! Prepare Country Pasta according to package directions. Drain thoroughly and set aside. Rinse and pat dry spinach leaves. Combine 2 C. spinach, all the garlic, salt, pepper, cream cheese and Boursin in a food processor. Blend for approximately 2 minutes, or until well mixed and creamy. Roughly chop remaining cup of spinach leaves, add to spinach mixture and pour over hot pasta. Add the freshly grated parmesan and mix until pasta is well coated. This dish can also be served with sautéed chicken breast or crumbled bacon for meat-lovers! 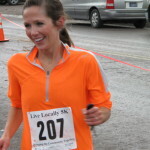 The Live Locally Race sponsors are excited to announce that this year’s fifth annual 5K Run/Walk event will again sponsor Polson’s own 2012 Olympic hopeful Melinda Owen. 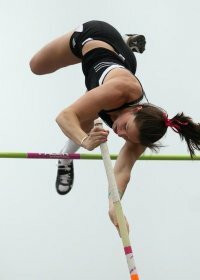 Melinda is a top U.S. competitor in the Pole Vault and has placed in the top 4 in indoor and outdoor competitions this year. Her mental attitude, training schedule, commitment, physical abilities and motivation are already those of an Olympian. Our goal is to financially support and encourage Melinda so she can focus on her training. • Melinda will be joining us at the Race!!! • As is tradition, many local businesses will donate prizes for post-race drawings. 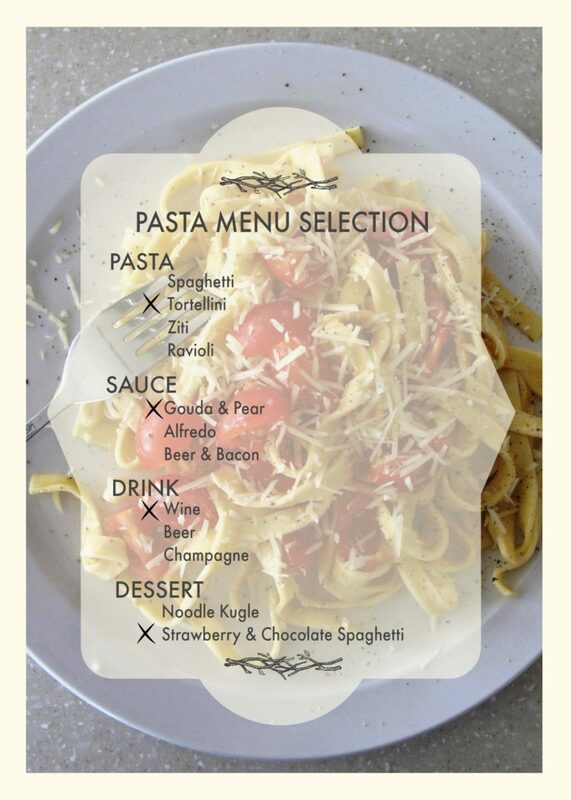 Country Pasta will provide a free spaghetti lunch for all participants. And for a special treat, Tipu’s Chai will be serving delicious Authentic Indian Chai to keep supporters warm and invigorate runners!! Stick around after the race to encourage your friends, family and coworkers – you won’t go home empty-handed! • Fun Gear!! 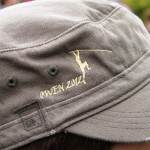 We will have cool “Owen 2012” stuff to buy, with proceeds donated to Melinda’s Quest. • An on-site respiratory therapist will be available to answer any questions and provide educational resources. Registration forms can be found here, or in local businesses around Polson. Bring your family, friends, neighbors, acquaintances and even… strangers. Help us support Melinda and make this year’s event a smashing success!! …Where is everyone else?? Oh, I won? Prepare Country Pasta according to package directions, drain and set aside. Combine all these ingredients in a large bowl & mix well. Remove just the meat balls from the fry pan and set aside. To the fry pan add 1/4 cup flour, 1 tsp. paprika, 1/2 tsp. salt & 1/2 tsp. pepper. Whisk it all together along with 2 cup boiling water. Whisk until thoroughly combined, then add 3/4 cup sour cream. Return the meatballs to the sauce & let simmer for 15 minutes. Serve proudly over Country Pasta & ENJOY!!!!! Hand-made Torches for each age group winner! The fourth annual Live Locally 5K, held at the Polson Health Care Plus building on October 23 was a marvelous feat of organization, planning and collaboration. Country Foods’ Heather Knutson and Health Care Plus’ Sarah Hartsoch Bird began planning this year’s race in July, wondering how they could creatively and appropriately implement the ‘Live Locally’ theme into the event. What they came up with was to donate all proceeds to Melinda Owen, a 2003 Polson graduate who has high hopes (and a good shot) to compete in the Pole Vault event at the 2012 Olympics in London, England. Sarah and Heather started putting on the miles to gather sponsorships, prize donations, and support from local businesses to help make the event a success, and wound up with some amazing contributions. Country Foods and Health Care Plus would like to officially thank ALL our contributors, whether the contribution was a sponsorship, prize, time and effort, or just a good idea! 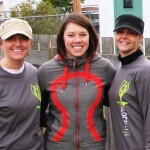 Without you and your business’ support, the Live Locally 5K event would not have been the amazing success it was. This year’s race registrations totaled 231, a record high! Melinda was on hand signing autographs, taking photos, and handing out awards (miniature torches!!). There were over 85 prizes given away to race participants, and EVERY registrant received a free Sigg™ aluminum water bottle, donated on behalf of Melinda by her clothing sponsor, lululemon. 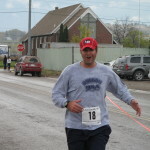 Each runner also received a stylish race shirt, designed by Total Screen Designs Mike Lozar, and a bag of Country Pasta. A bonus to this year’s event was the sale of military and baseball style hats, tastefully embroidered with “Owen 2012.” This stroke of genius helped raise additional funds for Melinda and her Olympic dreams. 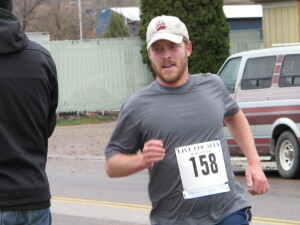 We are proud to say that this year’s Live Locally 5K event raised over $4,000 for Melinda!! Additionally, Country Foods has chosen to become the first Big Sky Club sponsor of Melinda’s Olympic journey. We are honored to support Melinda’s strong character and athletic talents. You can follow, encourage and support Melinda on her blog and Facebook as she trains, competes and prepares for the Big Event! In a large pot, bring water for pasta to a boil, and then cook pasta according to package directions. Drain, toss with a little olive oil or butter, and set aside. Chop bacon into bits, then place in a large skillet over medium heat until crispy. While bacon cooks, chop onion, garlic, green onion, shallots. Remove bacon bits to paper towel to drain, and sauté vegetables in 2 Tbsp. bacon drippings until tender, 3-4 minutes. Slice the zucchini and halve the tomatoes. Add zucchini to the pan and salt mixture to taste. Continue cooking until zucchini is tender, about another 6-8 minutes. Add lemon juice, bacon and tomatoes, cook for 1 additional minute. Transfer vegetable mixture to serving bowl and sprinkle with cheese. Serve with green beans or a fresh garden salad and dinner rolls. For a meatier version, add Italian Link Sausage. 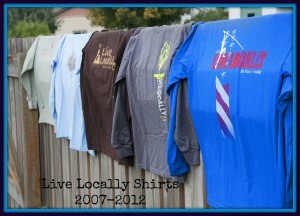 Live Locally is excited to be donating all proceeds from the 2010 race to Melinda Owen. Melinda, a 2003 graduate of Polson High School, is living out her dream of competing in the 2012 Summer Olympic Games to be held in London, England. She is currently in the pole vault training program in San Diego, California. Melinda Owen is not only a tremendous athlete, but also an amazing and positive person. Heather Knutson from Country Pasta has known Melinda her whole life. “She is a goal-driven person, who has always maintained who she is throughout all her challenges. Our community, and especially the young people of Polson have a great role model in Melinda,” comments Knutson. Melinda plans to attend this year’s race on October 23, and will be signing autographs and available to talk about her experiences in train¬ing for the Olympics. We hope you are as excited as we are to support our local Olympic hopeful. Interested in sponsoring or donating an item or gift certificate to be given away? There’s still plenty of time and opportunity to do so. We offer two levels—signature sponsorship and donating sponsors. Get logo on back of race shirt, name mentions on radio advertising, name on all emails and correspondence, signature sponsor sign at the race, one complimentary entry form. Donating sponsors can donate any item or value of gift certificate they would like. These items are given away in a prize drawing following the race. This is a very fun part of the event, as all participants can win. Donating sponsors are listed on the race shirt, and are noted when giving their donated prize away. Please call or email if you are interested in sponsoring or donating. Questions or comments? E-mail us at livelocally@hotmail.com or call 406-883-3910. 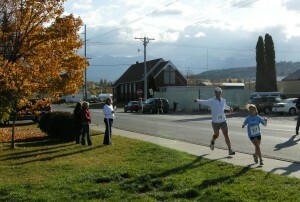 9/7/2010 ~ Live Locally 5K Returns to Polson October 23, 2010!! In honor of Lung Health Awareness & National Pasta Month, HealthCare Plus and Country Pasta have teamed up to provide a 5K Run/Walk on October 23rd. Our “Live Locally” theme encourages participants to support local communities in their everyday activities. In honor of our theme, all proceeds will be donated to Melinda Owen, a Polson graduate who is training for the Summer Olympic Games in 2012. Follow Melinda’s training and events on Facebook! There will be educational resources in regards to Lung Health, including an onsite respiratory therapist to answer questions. All participants will receive free pasta and there will be an open prize drawing following the race with prizes supplied by local businesses. Brochures and sign up forms are available at local Polson businesses, or print and mail the Entry Form above to HCP (address listed on form). A hearty, wholesome, and tasty dish! Lightly coat a 10 x 12” baking dish with olive oil. Halfway through, add garlic and continue cooking. Combine the sausage, ricotta, egg yolks, ½ cup of the pecorino romano, nutmeg, sun dried tomatoes, and parsley in a large bowl. Season with salt and pepper to taste, and mix together. Add cooked and drained pasta to the ricotta mixture. Add the heated tomato sauce and the mozzarella and toss again. Transfer the mixture to the prepared baking dish and smooth the top. Sprinkle the remaining grated cheese over the top and drizzle with olive oil. Bake, uncovered, until bubbling hot and lightly browned, about 20 minutes. Let rest for 3-4 minutes before serving. 1-2 lemons, one zested & juiced. Use the second lemon for more juice! Cook pasta according to package directions, drain and rinse in warm water. Set aside. In a medium skillet, melt butter with olive oil over low heat. Meanwhile, finely chop your garlic and zest one whole lemon with a microplane zester or grater. When butter is melted, add garlic and squeeze lemon juice into pan. Make sure to remove seeds from lemon first. Remove from heat, add sour cream and mix well. Add lemon zest and salt to taste. Pour mixture over drained pasta and stir until pasta is well coated. Pour into an oven safe casserole dish, cover with tin foil and bake for 20-25 minutes. Uncover and bake for an additional 10 minutes, or until top begins to lightly brown. Remove from oven, add a little more fresh lemon juice, and top with chopped parsley and grated Parmesan. Allow to cool (and melt cheese) for 5 minutes, then serve. 1 ½ pounds boneless chuck steak. Trim fat and cube into ½ inch pieces. Melt shortening in large, heavy skillet. Add green and red pepper, onion and garlic and brown for 2 – 3 minutes. Add tomato chunks and chuck steak, mix well and allow steak to brown slightly. Blend ketchup and water in small bowl, and add to skillet. Allow mixture to come to a boil, then lower temperature to simmer the sauce for about 20 minutes. While simmering, cook 16 ounces of Country Pasta Egg or Wide Egg noodles (I recommend Wide Egg) according to package directions. Serve sauce over hot egg noodles with garlic bread or rolls. 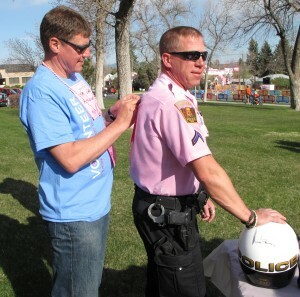 Country Pasta joined over 4,400 participants in support of the Montana Susan G. Komen Race for the Cure in Helena Saturday, May 15, 2010. Supporters gathered near the Capitol Building wearing shirts in a rainbow of colors to help find a cure for breast cancer. There were Survivors, moms, dads, brothers, sisters, friends, kids, grandparents, babies in strollers, dogs, balloons, food, giveaways, racers, runners, joggers, walkers and even a pink Policeman! Throughout the morning Country Pasta representatives wore Volunteer shirts. During the 5K race we lined up near the finish line to cheer for the racers, and changed into our green and pink Country Pasta shirts in support of our Team Runner. 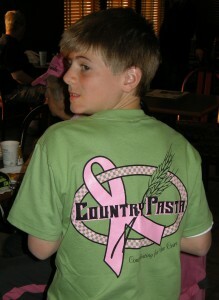 Country Pasta donated time and funds to support Survivor Activities. We were privileged to help Survivors and their families have great parking spots, a quick and painless registration process, lots of free stuff, and shirt signs celebrating or honoring those who have been affected by breast cancer. We met some inspiring people and heard many encouraging stories. Thank you to everyone who worked so hard to make this a successful, fun and exciting event. We are proud to participate and already excited for the next Komen event this September in Coeur d’ Alene, Idaho. To see what’s going on at Country Pasta TODAY, follow us on Facebook!! A special thanks to the Barefoot Contessa (Ina Garten) for this fabulous and delicious easy recipe. Cook Country Pasta according to package directions. While the pasta cooks, melt the butter and olive oil over medium-low heat in a large (12-inch), heavy skillet. Add the shrimp, 1 ½ teaspoons of salt, and the pepper and saute until the shrimp have just turned pink, about 5 minutes, stirring often. Remove from the heat and add the parsley, lemon zest, lemon juice, lemon slices, and red pepper flakes. Toss to combine. When the pasta is done, drain and then put it back in the pot. Immediately add the shrimp and sauce. Prepare Country Pasta according to package instructions, drain thoroughly and set aside. Chop, dice, and prepare ingredients before cooking scallops, as this recipe will move quickly once you have started. Using paper towels, pat the scallops dry on all sides, then season with salt and pepper. Heat a large frying pan using high heat. Once pan is hot, add 1 Tbs. olive oil, then scallops. Arrange scallops around the edge of the pan, not touching each other. Cook for 2-3 minutes without turning, this will properly sear each portion. Turn scallops and cook for 1-2 additional minutes, until cooked through. Remove from pan. Turn heat down to low, and add 1/2 Tbs. olive oil and saute onions with the leftover scallop pieces for 30-45 seconds, or until translucent. Remove to bowl and set aside. Add butter and melt. Add chopped garlic and sauté for 10-15 seconds. Add tomatoes, return sautéed onions to pan, and stir. Increase heat to high and add white wine. Stir constantly and allow to boil for 30 seconds. Add salt and pepper to taste. Add pasta to mixture, or add mixture to pasta in large bowl. Stir well to coat pasta. Add scallops to plate and serve. This is one of our favorite recipes and we hope you enjoy it as much as we do! Prepare Country Pasta according to package instructions. Drain and stir in 1/8 cup olive oil. In large skillet, heat remaining olive oil on medium-high heat. Sauté cubed chicken breast and sausage for 5 minutes. Add onion, red bell pepper and mushrooms, cooking until meat is cooked through. Add 2 cloves minced garlic in last 5 minutes. Toss all ingredients together, sprinkle with fresh grated Romano cheese and season with salt and pepper to taste. Encouraging people to live healthy lifestyles, including eating well and regular exercise, is one of Country Pasta’s goals. October celebrated National Pasta Month and National Healthy Lung Month (American Lung Association). In honor of these events, Country Pasta once again partnered with our local Health Care Plus organization to host the 3rd annual Live Locally 5k Run/Walk on October 24th. Each year this event donates all proceeds to Mission Valley Aquatics, helping to design and construct an indoor swimming facility for Lake County Montana. This year we had a fantastic turn out, with over 150 participants! 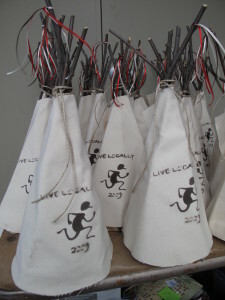 Winners in each category received handmade miniature tipis (pictured below). 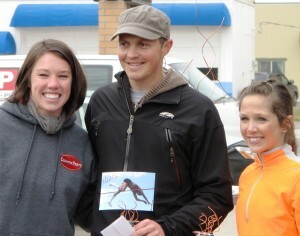 Entrants were also eligible for post-race prizes donated by local businesses. Donations included everything from free coffee and movie tickets to 18 holes of carted golf! The participant who came the farthest to compete in our race traveled a whopping 1281 miles from Los Angeles, California! If you’re in the area next October, come join us for the race. We’ll begin preparing next summer for another fantastic event! Thank you Polson for your support!! Mix all ingredients together in large mixing bowl until evenly distributed (it’s ok to get your hands dirty here!). Form into 1 ½ to 2 inch meatballs, according to preference. Heat olive oil in large heavy skillet, add meatballs and brown on all sides; 10-15 minutes total. In large pot combine all ingredients. Mix until tomato paste is well incorporated. Bring to boil, then reduce heat and simmer for 30 minutes. Add browned meatballs and simmer an additional 30 minutes. Cook 16 oz. Country Pasta according to package directions. Drain and place in large serving bowl. Serve meatballs and sauce over warm pasta and enjoy! Bring water to a boil in a stockpot. Add bouillon cubes and boil until dissolved. Add chicken, soups and soup mix; return to a boil. Stir in pasta; bring back to a boil. Reduce heat and simmer until pasta is tender, 8 to 12 minutes. For a more colorful, healthy soup, add 1 cup chopped carrots, 1 cup chopped celery and ¼ cup sliced green onions while pasta is simmering. Great as main course or as a side dish for grilled steak, chicken or fish. In a large skillet, sauté carrots, celery, onion, garlic and mushrooms in butter. Stir frequently to avoid burning. Saute for about 5 minutes or until the vegetables begin to soften. Next add shrimp to skillet and saute with vegetables until shrimp is cooked. Continue to stir frequently. In closable container, combine half-and-half, milk, and flour. Shake until mixed. Add to shrimp mixture. Add 1 C. of cheese and salt and pepper; stir. Add Country Pasta. Stir gently until covered with sauce. Top with remaining cheese. Add asparagus to boiling water in last five minutes of cooking. While the pasta is cooking, melt the butter into the cream in a medium saucepan over medium-high heat. When it begins to boil, add the Parmesan cheese and spices. Stir continuously until mixture thickens. Add the diced ham and cook, stirring an additional three to five minutes or until heated through. Pour the sauce over the pasta and asparagus. Cook pasta as directed on package, drain, place in large bowl and set aside. Add snow peas, carrots and broccoli to boiling water for 3-4 minutes, then drain. Spray large nonstick skillet with cooking spray; heat on medium. Add dressing, soy sauce, ginger, garlic and crushed red pepper; cook 1 min., stirring occasionally. Add vegetables and cook 3-4 minutes, stirring until well-coated. Add vegetable mixture to pasta; mix lightly. Spoon evenly into four serving bowls; top with water chestnuts. Add sautéed chicken breast or shrimp for non-vegetarian version. Melt butter with oil in large skillet over medium heat. Add garlic; sauté until lightly browned, about 3 minutes. Add fresh mushrooms; sprinkle with salt and pepper. Cover and cook until tender, stirring often, about 8 minutes. Uncover; sauté 2 minutes longer. Mix in 3 tablespoons parsley; season with salt and pepper. Add cooked pasta and 1/2 cup cheese to mushroom sauce in skillet. Toss over medium heat until heated, cheese melts, and sauce coats pasta. Mix in remaining 3 tablespoons parsley. Season with salt and pepper to taste. Transfer to large bowl and serve with more cheese. Place in a large bowl; toss with oil. Add the next five ingredients; stir in ¾ of the bacon. In a small bowl, whisk all dressing ingredients. Pour over spaghetti mixture; toss gently. Try this recipe for a quick, healthy meal with Greek flavors! Mix all of the above together in bowl.